Camping is a serious adventure. And for some, it’s seriously awful. If your family is divided about whether or not they like roughing it in the great outdoors, perhaps it’s time to try glamping. Yes, there are tents, but they are set up for you – and in style. No more sweaty stress, hammering tent pegs into hard ground, or waking up to the rain soaking your soggy sleeping bag. Glamping is all about creating a wonderful camping experience in pure comfort. 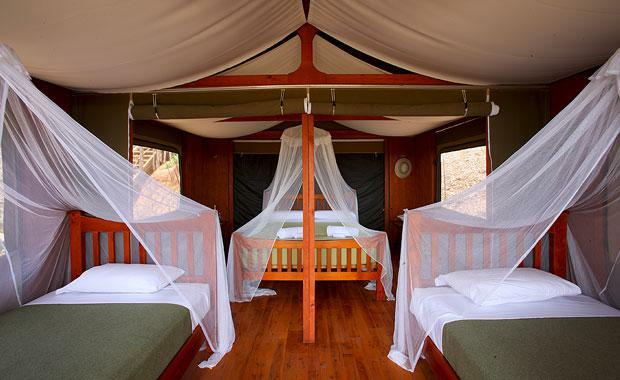 Imagine a slumber safari where you go to sleep to the sounds of African animals in the night. Sound like an adventure? This is a fully-hosted experience that includes animal encounters, nibbles at sunset and a fantastic dinner. You’ll also enjoy a night walk and eating marshmallows you’ve toasted around the fire (along with some scones with jam and cream). The view to the rolling hills, lake and valley won’t disappoint. And the serenity? That’s great too. It’s a private property so the children will feel safe and secure and with a clean, spacious camp kitchen, hot showers, and the luxury of fresh linen, cushions, rugs, comfy mattresses plus lots of other creature comforts (minus the creatures), you all might just change your minds about the joys of camping. Prices: $440 for a family. The Winton Wetlands spread over a vast 8750 hectares. And for a small family, this venue offers a big experience. There are five, 5-metre bell glamping tents available and each of them come with a queen bed all set up for tired parents to enjoy – plus inflatable beds available for the kids. 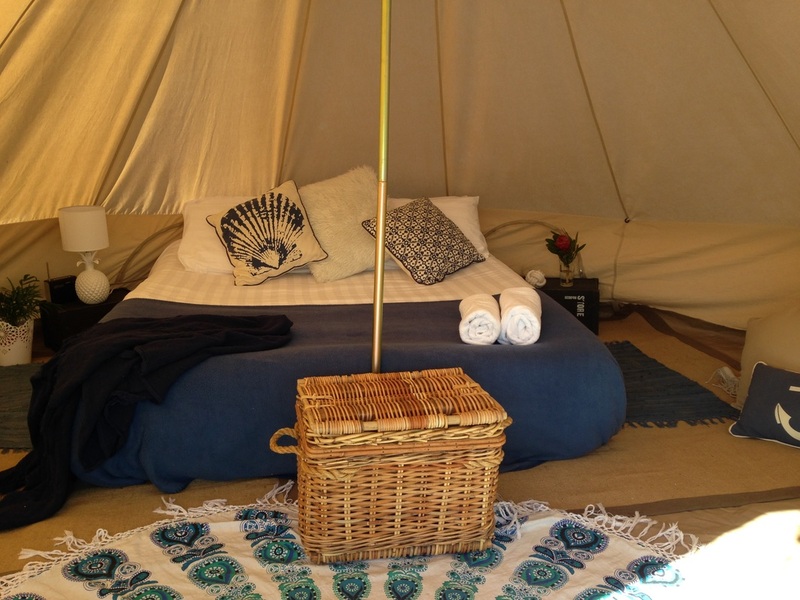 Although this carries the glamping title, it is a step down from some more luxurious offerings – no timber-decked floors and luxury linen here but things are comfortable, with picnic rugs, towels and throws for added cosiness, and the joy of not setting up your own tent is still valuable. The focus here is on environmental-friendliness and because they are off the grid, there is no electricity. A fire pit is a great place to toast marshmallows. Prices: From $120 per night. The Soulpad Bell Tent has capacity for a family of five and your glamping experience comes complete with a queen-sized air mattress, plus up to three single mattresses. Don’t worry about the chill. The comfy bedding will keep you warm and the pillows give your tired heads a chance to rest in style. If you’re not used to roughing it, there’s a heater, bedside lamp, digital radio or blue-tooth speaker – and a torch and umbrella. Of course the tent is ready and waiting for you and you don’t have the hassle of packing it up either. With all the other extras on offer (including cooking equipment and towels and some other lovely luxuries), you’ll be experiencing the great outdoors with a great amount of comfort. All you have to do is book your preferred camping site – they’ll do all the hard stuff so your holiday starts as soon as you arrive. 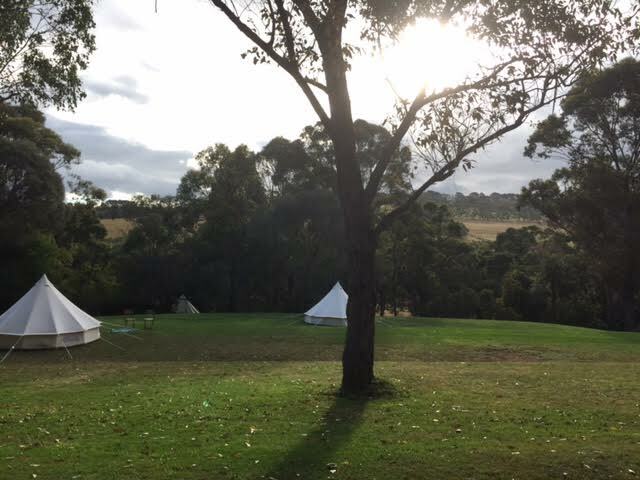 Address: your camping site – anywhere it’s legal to camp on Phillip Island. Bring a sleeping bag and pillow. The rest is there waiting for you – including the sounds of zoo animals going about their night-time business. The venue at the zoo is the historic elephant exhibit. It was originally built in the 1940s and it’s been given a second life as an urban glamping experience your kids will remember for life. Just don’t expect a sleep-in. Because animals wake up early, you probably will too – but there is the added fun of meeting the keepers and seeing zoo life behind-the-scenes. Tents, camping mattresses, dinner, supper and breakfast are all included – plus zoo admission for the next day. The minimum age for this glamping adventure is 5 years old. Children under the age of 18 must be accompanied by an adult. $199 Adults, $150 Children (5–12 years); Zoo members receive 10% discount. Roar ‘n’ Snore runs on selected nights from September to May.